Havre de Grace bed and breakfast travel guide for romantic, historic and adventure b&b's. 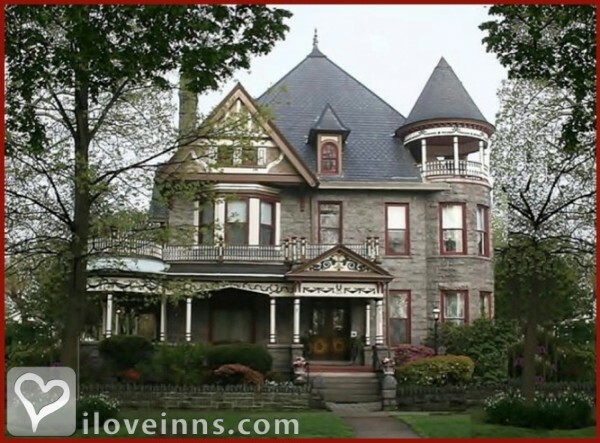 Browse through the iLoveInns.com database of Havre de Grace, Maryland bed and breakfasts and country inns to find detailed listings that include room rates, special deals and area activities. You can click on the 'check rates and availability' button to contact the innkeeper. If you and your family are planning to cruise the Chesapeake Bay but have no idea where to stay, a Havre De Grace bed and breakfast is a great choice. The heart of Havre De Grace is located just two blocks away from the Bay, just enough distance for you to appreciate the entire island. Havre De Grace is surrounded by a number of historic sites, antique shops, museums, and marinas. But when you visit Havre De Grace, the first thing that you will notice is the numerous restaurants and diners in the area. Havre De Grace is home to some of the finest cuisine in the state.Have a relaxed lunch as you feel the breeze of the mighty Chesapeake Bay upon your face, bring your family to the Bay Hundred Restaurant and Tiki Bar or try the Grill and Tiki Bar in Lowes Wharf Bayside and indulge in a romantic dinner as you witness the Havre De Grace's panoramic sunsets. By La Cle D'Or Guesthouse. If you and your family are planning to cruise the Chesapeake Bay but have no idea where to stay, a Havre De Grace bed and breakfast is a great choice. The heart of Havre De Grace is located just 2 blocks away from the Bay, which is just enough distance for you to appreciate the entire island. Havre De Grace is surrounded by a number of historic sites, antique shops, museums, and marinas. Havre De Grace is home to some of the finest cuisines in the state. Have a relaxed lunch as you feel the breeze of the mighty Chesapeake Bay upon your face, bring your family to the Bay Hundred Restaurant and Tiki Bar or bring your loved one to the Grill and Tiki Bar in Lowes Wharf Bayside and indulge in a romantic dinner as you witness panoramic sunsets. By Spencer Silver Mansion. Explore this historic city on the North Chesapeake Bay at the confluence with the Susquehanna River. Lots of antique shops and malls, gourmet dining,outdoor sports, and special events. Enjoy museums (decoys, maritime, lighthouse, skipjack, and canal lockhouse)within a town of over 800 surviving historic structures. By La Cle D'Or Guesthouse.